The Balangiga bells at F.E. Warren Air Force base in Cheyenne, Wyoming. The bells were seized in 1901 during the Philippine-American War. Since then, the Philippines has not heard the Balangiga bells rung. That's because they've remained on display in Cheyenne, Wyoming, on the F.E. Warren Air Force Base. Historian Rick Ewig said in order to understand how the bells ended up in Wyoming, you need to know a little bit about the Spanish-American War. "It's over by late 1898 and with the Treaty of Paris signed, the US takes control over the Philippines," said Ewig. He said many Filipinos thought the US would quickly grant them independence. But that didn't happen. "Tensions rose between the locals and the Filipinos fighting for independence with the troops there in the garrison," Ewig said. "And then on September 28th, 1901, the garrison was attacked by Filipinos." And he said the Balangiga Bells played a role in that attack. "Apparently because they were in the church, and to start the attack against the troops on the 28th of September, the church bells were rung, and that said, 'go ahead and attack,'" said Ewig. 48 US servicemen and an estimated 20-30 Filipinos died in the attack. Afterward, U.S. General Jacob Smith ordered more troops to the area. "And he had some very harsh words to describe what he wanted done," said Ewig. "He said that he wanted that area to become a howling wilderness." Ewig said the fighting in Balangiga continued for a few more months. But eventually the garrison was abandoned and when the troops left they took the bells with them. They ended up in Fort D.A. Russell, which is now F.E. Warren Air Force base in Wyoming. And Ewig said it didn't take long before the first discussions about where the bells belonged started to happen. "By 1911 there was a general in the Philippines who was questioning the propriety of really taking church bells as war souvenirs," said Ewig. For the last 100 years, all kinds of people have asked the bells be returned. That includes Filipino ambassadors, Catholic church leaders—even President Bill Clinton. More recently, the American Philippines Society came out in support of returning the bells. Wyoming's congressional delegation disagrees with the possible return. In a joint statement, they said, quote, "we believe that moving the bells establishes a dangerous precedent for future veterans' memorials." That's in line with local Wyoming veterans groups who've consistently opposed the move over the years. "I think there's an emotional attachment to them," said Steven Kravinsky, the executive director of the Wyoming Veterans Commission. 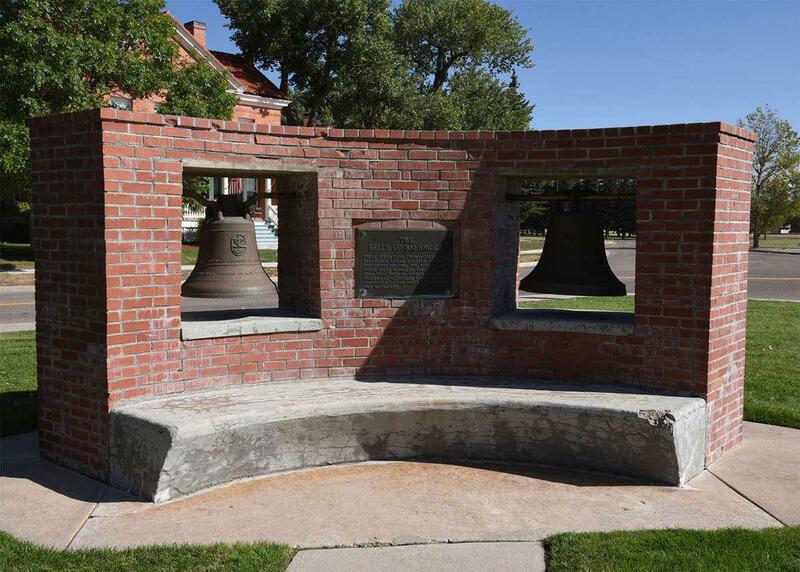 He said Wyoming veterans consider the bells a war memorial. "Sending them back would dishonor the soldiers that were killed in the Philippines," said Kravinsky. But the U.S. federal government has the final word on where the bells belong. Secretary James Mattis said they belong in the Philippines. He notified Congress this summer that the Defense Department intends to return them, although no date has been set as yet.